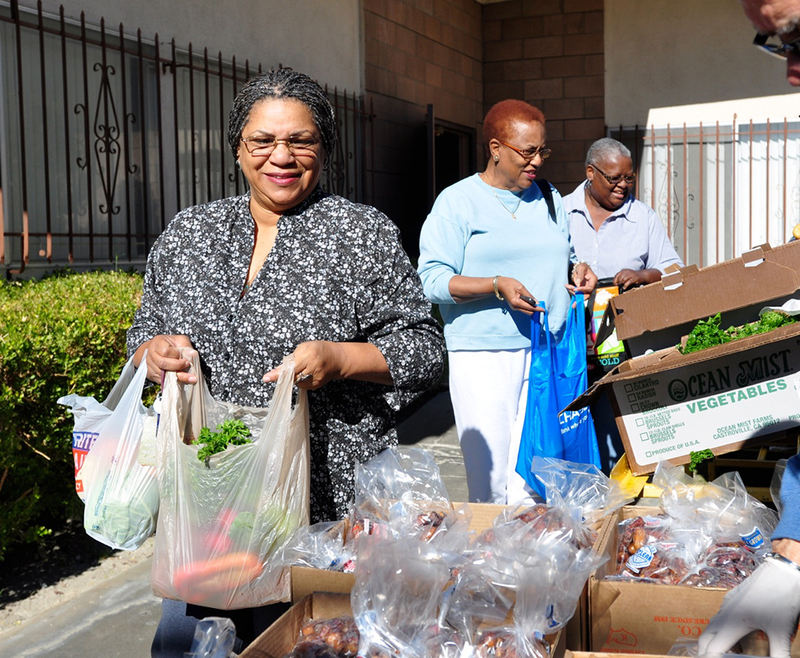 All of our programs and activities are part of the whole – gathering and distributing fresh, local produce to fight hunger, obesity and diabetes among our most at risk populations. Coming directly from the interactions we have had at our senior markets, healthy fairs and the countless people we serve. It is the belief that the way we provide our service makes a tremendous difference in the individuals we serve. Click and look through our gallery. Personal Touch is a whole new approach to giving. It's focused on restoring a sense of dignity, community pride and choice to our clients. 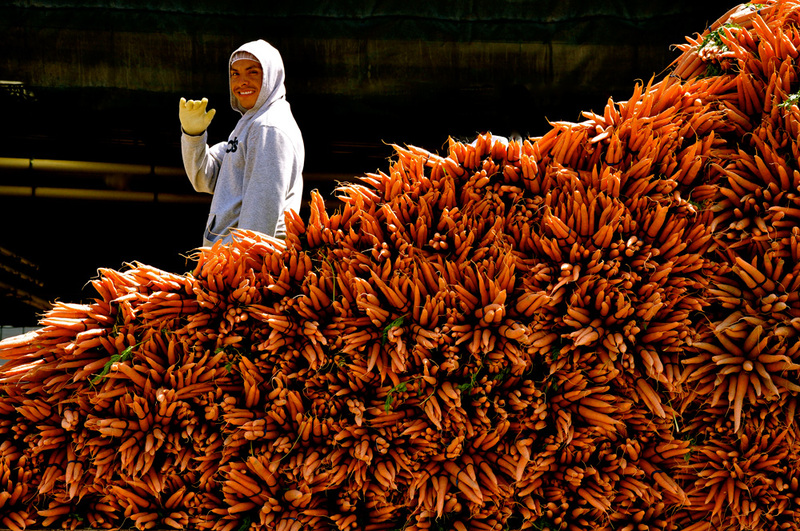 For example, by modeling our Senior Markets after farmers markets we create an environment that restores self-esteem. By allowing people to have a choice in selecting their produce we foster dignity and by providing quality food we perpetuate wellness. This whole new way of giving is more useful - if someone can select the foods they like to eat - they will eat them, if the foods we offer our nutritious and fresh they themselves serve to promote good health and in turn Hidden Harvest. We were inspired by the very faces we see at our senior markets, many of whom informed us that being able to select their own produce is more useful and that the way we do things feels more like sharing than giving. Senior Markets are held in seven locations, twice each month at the same time and place. Each location is either designated Section 8 (or low income) housing for senior citizens, or in a disadvantaged area where low-income seniors congregate based on census data. 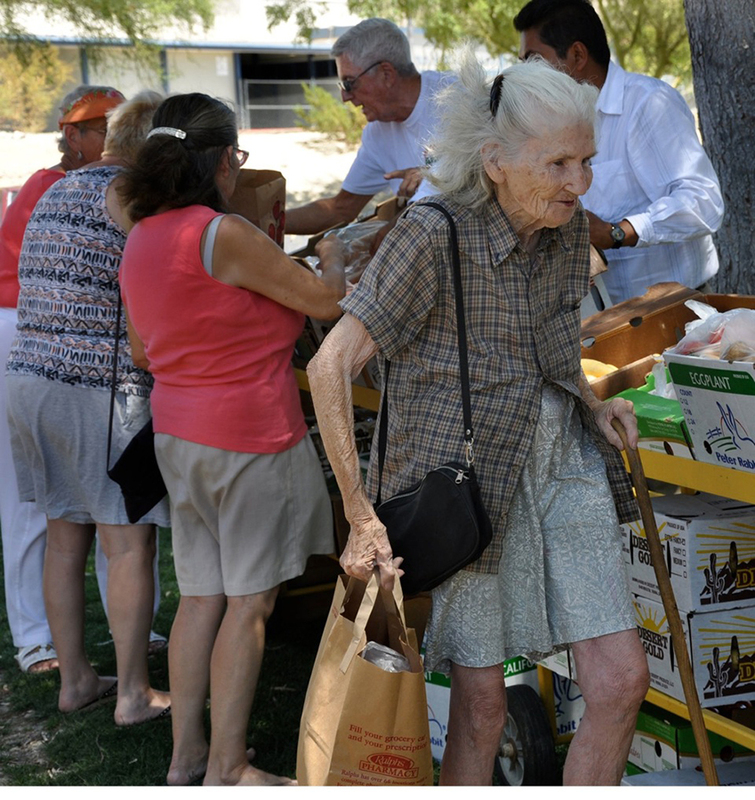 A February 2009 UCLA study revealed that fully 50% of senior citizens in Riverside County living alone lacked sufficient income to feed themselves adequately. 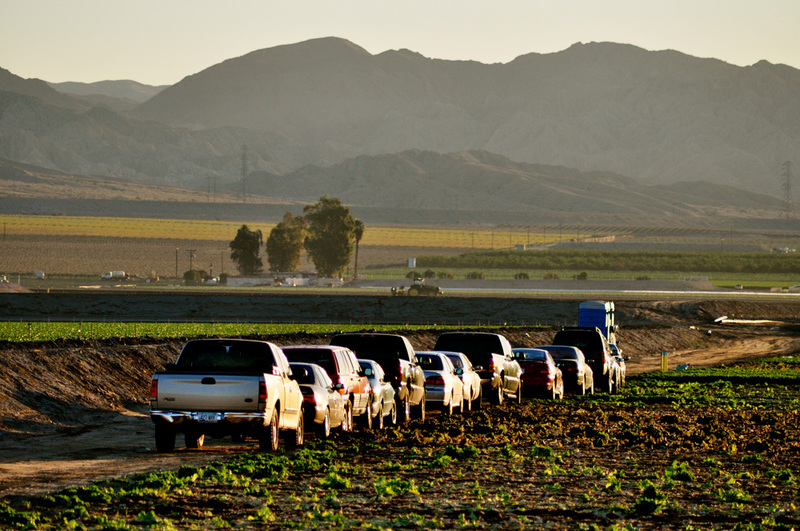 That shocking statistic prompted Hidden Harvest to create our Senior Produce Market concept. These markets are held in eight locations, twice each month at the same time and place. Each location is either designated Section 8 (or low income) housing for senior citizens, or in a disadvantaged area where low income seniors congregate based on census data. Produce - during the peak harvesting season, as many as 12-16 items - is displaying on rolling carts and seniors “shop” for free as they go past the bounty. These shoppers arrived in wheelchairs, with oxygen, by scooter and by walker. Many have told us of their difficulty in afford fresh produce and frequently having to choose between the fresh foods they want and the prescription drugs they need. We also provide nutrition information and cooking tips for those who are unfamiliar with items like bok choy, napa cabbage and dandelion greens. Markets are held twice a month - The first and third Mondays, Tuesdays and Wednesdays. SEE EVENT CALENDAR for SUMMER SCHEDULE - July, August and September. whose children attend schools in high poverty areas. Healthy Fair school sites are chosen based on the percentage of students who qualify for free and reduced meals. A high percentage of students indicate a high level of poverty in the school community. The fairs are set up farmers’ market style (except that everything is free) with all the produce set out for the shoppers to pick and choose what they would like. The produce selections vary by season and availability, but usually we have anywhere from 5 to 9 different items at each market. When necessary we will purchase produce to ensure that we always offer at least 5 staple items. 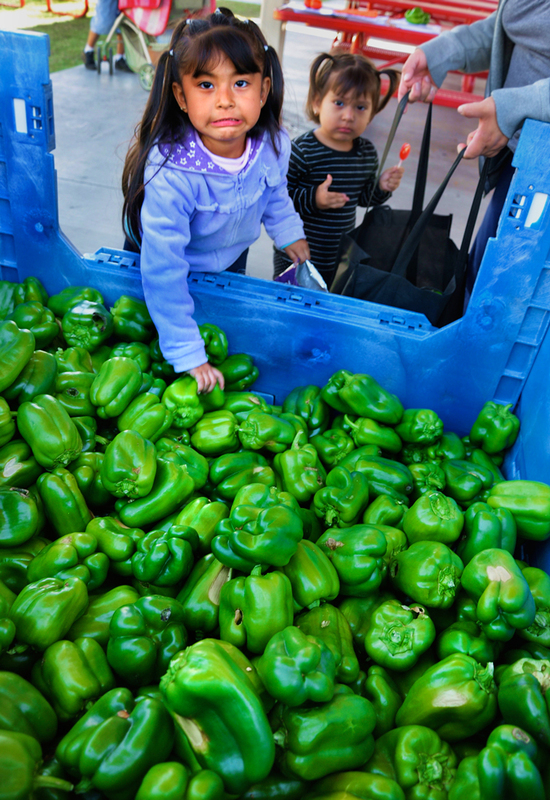 Since the project’s inception in October, 2009 we have averaged 4,000 Lb of produce for each event. With anywhere from 250 to 350 shoppers per market, each person is going home with 10 to 15 lbs of fresh and healthy fruits and vegetables every market. The Healthy Fairs are also an opportunity to bring other collaborators and health information to these families. Health education assistants from Riverside County Health Agency have attended to offer nutritional information. We have also offered blood pressure checks as well as health and other public service information handouts. Hidden Harvest prints nutritional information and recipes for the specific items that we offer at each fair. The term “blue chip investment” connotes a well-established and financially sound company that offers leverage to its investors. 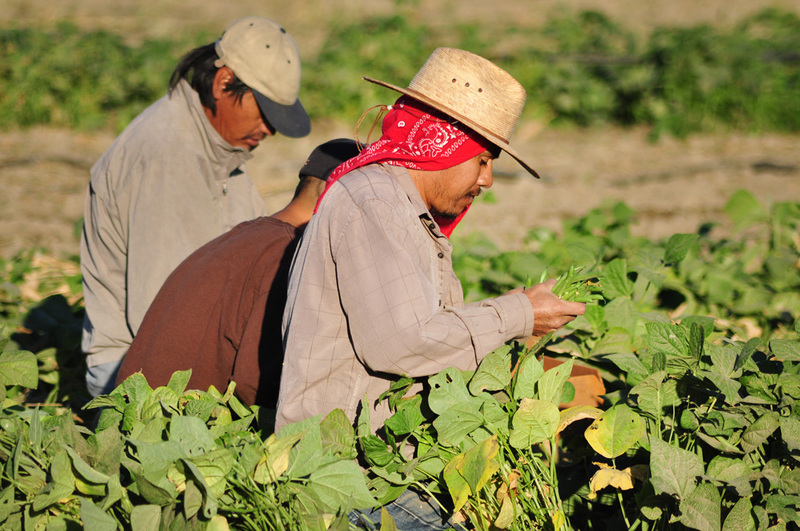 When we speak of HH as a “blue chip investment” we refer to our over thirteen year history of “rescuing” millions of pounds of produce that would otherwise have gone to waste while employing the working poor at a living wage to harvest it ($12.50/hour). Hidden Harvest has been called a “blue chip investment” by donors and supporters, including people like former President Bill Clinton, former California First Lady Maria Shriver, People Magazine, National Public Radio, Brian Williams of NBC Nightly News and many others. The term “blue chip investment” connotes a well-established and financially sound company that offers leverage to its investors. When we speak of HH as a “blue chip investment” we refer to our over thirteen year history of “rescuing” millions of pounds of produce that would otherwise have gone to waste while employing the working poor at a living wage to harvest it ($12.50/hour). But that’s not all our investors (donors and grant makers) get for their money! 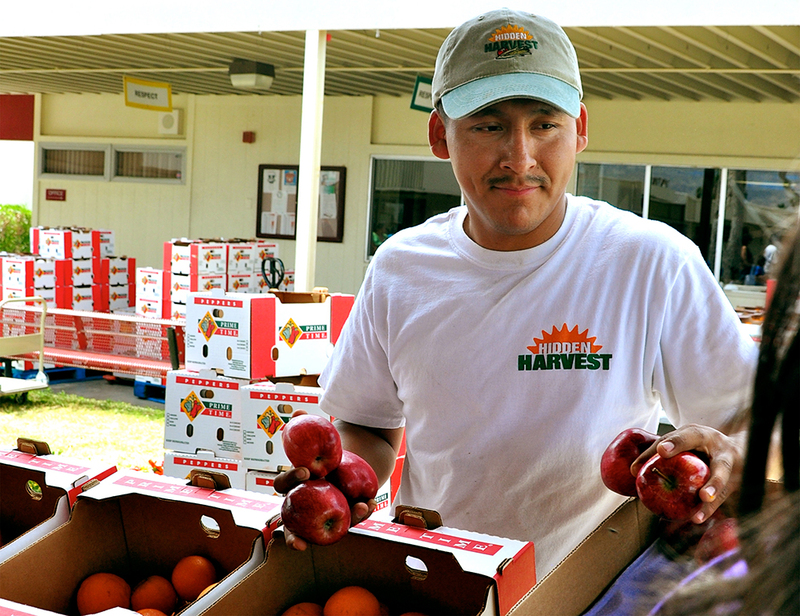 Hidden Harvest’s Board of Directors provide 100% of our administrative cost through their own annual contributions so that every dollar donated by the general public or received through grants, can go directly to providing healthy produce for the hungry. In addition, every dollar of public contribution or from grants and foundations translates to 2.5 pounds of fresh, local produce for needy seniors, children, after-school programs, food banks and pantries. Compare our 40 cents per pound to the $2.49 per pound estimate made by the United States Department of Agriculture for fresh produce. Blue-chip indeed!